What if it didn’t have to be a fight between your right (creative) and left (analytical) sides of your brain? If healing could occur by using your body and brain together in a different way to “snap” you out of the traumatic events that are keeping you stuck, and give you space to heal and grow. In our experience, most people who come to therapy are experiencing an overwhelming amount of body sensations, emotions, and racing thoughts and they have lost contact somewhere along the way with their problem-solving brain. Because of this systemic overload, their sympathetic nervous system gets stuck in ‘fight-flight-or freeze’ just to survive. They find themselves getting out of control with anger (fight), anxiety (flight) or paralyzed by fear and depression (freeze) as they shut down. These automatic reactions are your body’s adaptive response to overwhelming stress. Your body is attempting to protect you from further stress or total collapse, however, it is also unwittingly shutting out your brain’s ability to rationalize your way out of the stress. 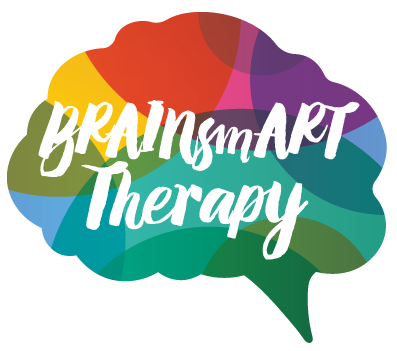 By using imagery, and through the use of the visual, musical, and movement arts to reconnect the body to the brain, BRAINsmART Therapy is designed to reduce the discomfort of traumatic events and increase your ability to make sense of the images, sensations and emotions that arise when trauma needs to be resolved. BRAINsmART enables a new view of your past, through new eyes and in new ways. 1110 North West End Blvd. Only by connecting the functions of the right and left brain, can we build a “bridge of meaning” to integrate overwhelming events and trauma into a meaningful story that we can use to heal ourselves. Use the form below to contact us regarding your therapy enquiry. Please be as detailed as possible regarding your situation, without including confidential or private information. To help us best service your enquiry, we recommend that you first describe the issue you’re having before telling us what you want to achieve. You may also email or call us to make an appointment. We are committed to your privacy. Do not include confidential or sensitive information regarding your health condition in this form or any other form found on this website. The forms are for general questions or messages to the counselors. We’ve recieved your enquiry, and will be in touch as soon as it is possible. Talk to you soon.